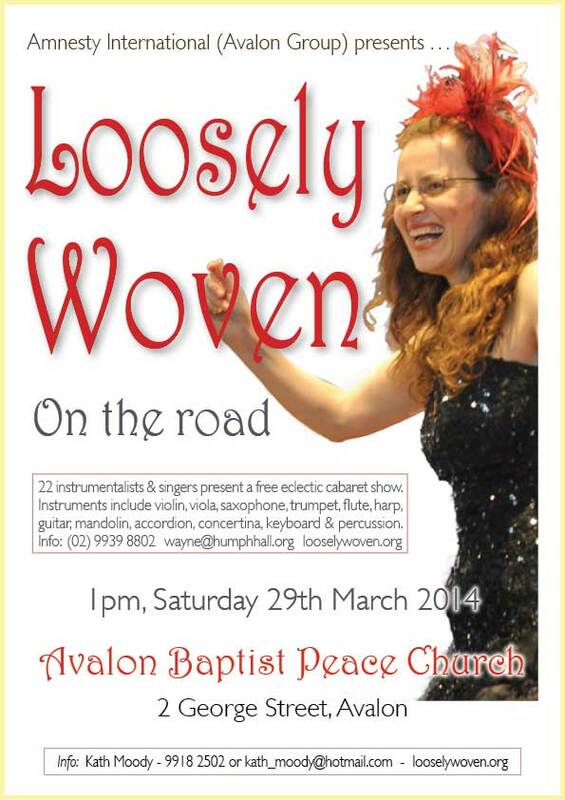 The local music group “LOOSELY WOVEN” led by Wayne Richmond, will be giving a free community concert in Avalon Baptist Church (2 George St.) on Saturday 29th March at 1 pm. Wayne Richmond, the leader of the group, is one of the Peninsula’s inspirational leaders in giving live music to the community . Wayne and many of the musicians are Amnesty Members and regularly raise money for Amnesty at Avalon. 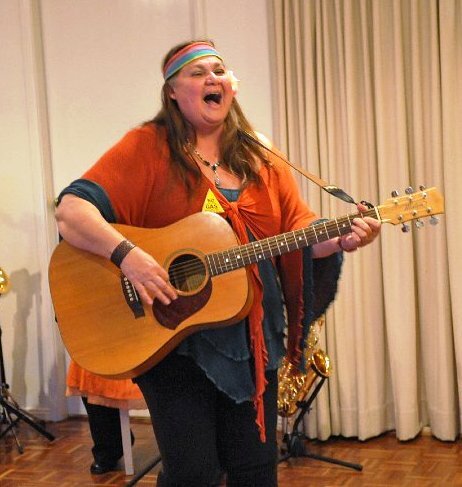 In “On the Road” 22 instrumentalists and singers including the wonderful folk singer Sonia Bennett, will bring to Avalon the concert they are taking ‘On the road’ to regional locations such as Canberra, Wingello and Milthorpe. a very unusual arrangement of The Beatles’ song ‘Something’. The concert is free and there will be a free light lunch..Voluntary donations will go to Amnesty International and help people around the world suffering human rights abuse. Avalon Amnesty International group is at present working on several campaigns. At our concert we will give supporters a chance to sign letters as part of the Amnesty ‘s work – around the world millions send letters on behalf of people who face unjust discrimination, violence, imprisonment and even death. Date: Saturday 29th March 1 p.m.